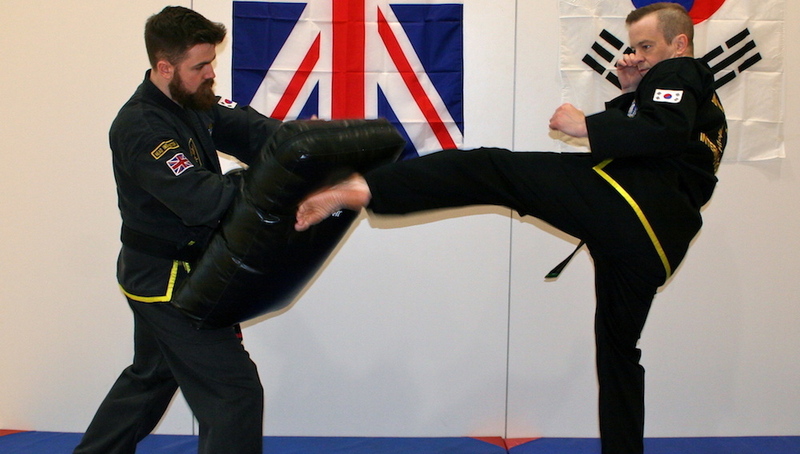 Change the way you train with our Choi Kwang Do Classes in Teddington. We're giving everyday men and women of all ages and backgrounds the chance to challenge their minds and their bodies at the same time! 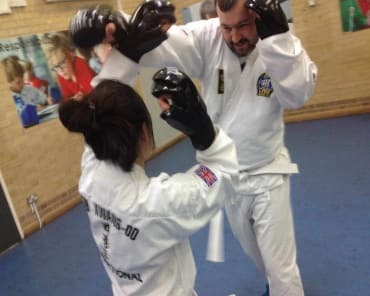 Our Adult Martial Arts program combines the best aspects of self defence and fitness training, helping you stay in shape and stay safe in the face of a real-world threat. Join us at Clarke School of Choi Kwang Do today! Why Are Our Adult Martial Arts Classes Right For You? 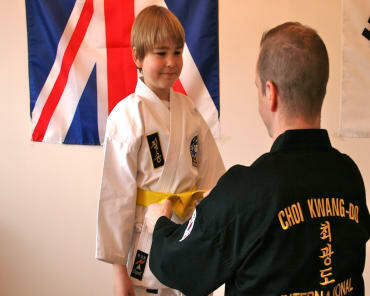 We aim to meet the needs of everyone in our community and we do that by offering cutting-edge Choi Kwang Do instruction that is perfect for all experience levels. This traditional martial art is incredibly effective and easy to learn. And it also offers a true total-body challenge! From day one, you'll learn from the dedicated team at Clarke School, and you'll feel supported through every step of your journey. And The Results Could Not Be More Real! We know how hard it can be to stay motivated with a new fitness plan. Our busy lives often get in the way and before we know it, there's no desire to keep training. But at Clarke School of Choi Kwang Do, we're helping you stay motivated week in and week out with a program that is constantly pushing you to grow. No matter how skilled you are when you get started, you'll build your tools in no time and walk away with the physical benefits to prove it. Join Us In Teddington Today For The Best Adult Martial Arts Classes Around! Don't suffer through another boring workout. And don't ignore your fitness training just because you can't find a fun way to workout. At Clarke School of Choi Kwang Do, we're helping you stay motivated week after week and develop lifelong mental and physical strength. Sign up today for the best Adult Martial Arts Classes in Teddington. Just fill out the short form on your screen to get started now! Join Us In Teddington Today! My 4 year old son started at Clarke school of Choi Kwang Do just 2 months ago and he absolutely loves it. His confidence has grown massively in just 2 months. Niki is amazing with the little dragons and has a huge amount of patience with them. Niki tailors the training for the children he is teaching, he recognises that the children are progressing at different levels and gives them some responsibilities to make them feel valued. Niki's assisting instructor, Fatima, is great with the little ones too and really makes them feel at ease. Niki and Fatima are both very friendly and approachable and I am glad I found such a great school for my son to not just learn martial arts but to build up his confidence, discipline and social skills too. I am so happy to train with Mr Niki:) Classes are great, I learn new techniques all the time. Mr Niki is amazing instructor, very patience, kind and professional. Every time I can see progress in my fitness and technique. Great class! Fab self defence training and leaves you feeling very energised!